Good Afternoon! Hope you're all doing well, working hard, crafting up a storm! 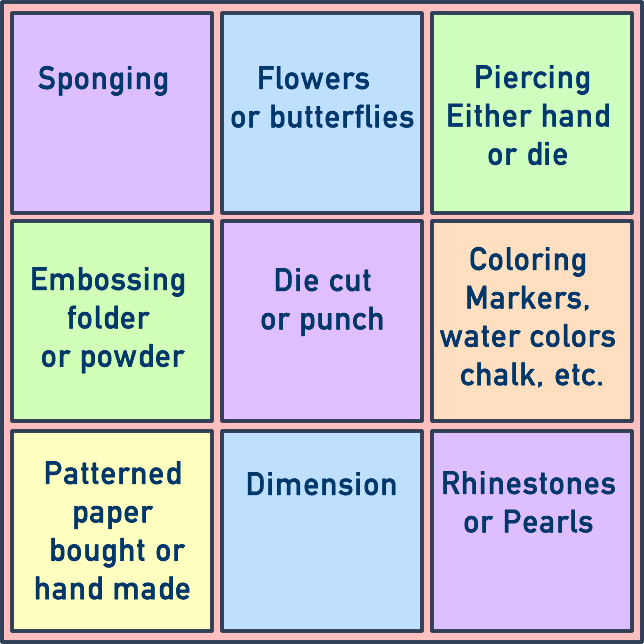 Today's card will be entered in the Challenges at Simon Says Monday, Pastels and Mod Squad, Tic-Tac-Toe. I used the beautiful Roses Are Red stamps from Flourishes and the sentiment from Sweet Roses by MFT. Images colored with Copic Markers. Spellbinders Classic and Scallop dies and Blueprints #12 die from MFT. Melon Mambo and Tuxedo Black Inks, Adhesive Rhinestone Flourishes, Ribbon Pearl Rhinestone Flowers, and Sakura Glaze Pens in Green and Pink for accents. Mother's Day is Sunday May 10th.....keep that date handy! OMGosh; how beautiful is this?? Oh, I know; VERY beautiful. Love the design, colors and femininity. Your mom's a lucky lady. Gorgeous card. Thanks for providing the link to the tutorial and video. I had seen it a long time ago, but forgot about it. It does look like it would be a bit frustrating to do, but so worth it. Fabulous. Love the shades of pink and telescoping is fabulous. I have never tried it. You are really rocking out the special cards this week. OMgosh! It's gorgeous! Your flowers are lovely and they look even more lovely on that gorgeous background paper. Such a stunning card! Your Mom will love it! Beautiful!! I saw this on Splitcoast and yes, it is confusing but boy it packs a big WOW !!! Beautiful Card!! I must try this technique!! Confusion or not, I think it looks wonderful! Beautiful in every detail and love all that dimension on it. Wowza! Talk about "eye candy"...THIS is IT!!! I love the whole concept of telescoping after seeing this beauty! I would lose count and get confused, but who cares? It turned out magnificently!! A plus, in MY book! TFS!!! I know that this one is for Edith. I can see all of the love that you put into it. This is so splendid and grand. She will love it. This is just so stunning! And I can just imagine how hard it was to color everything so many times and make it look like it all goes together. Very sweet - your mom is gonna LOVE it!! Whoa! That is such a clever card structure! You are always so inventive and innovative with your cards and this was a joy to see. I also really like the patterns you put together and how the pretty embellishments give it so much texture and dimension. Kudos on a job well done and thanks for sharing your talents with us for this week's Simon Says Stamp Monday Challenge! Beautiful Donna! Love the layers. Absolutely gorgeous! And great idea. Thanks for the inspiration! !